Tim Langdell, the CEO of EDGE Games, which has been at the heart of many controversies regarding trademark rights to the word "Edge" in video gaming, has stepped down from the board of directors of the International Game Developers Association. The IGDA announced Langdell's resignation in a brief statement this morning. In an email to Kotaku, IGDA Executive Director Joshua Caulfield said Langdell resigned voluntarily and was not asked to. Langdell provided a lengthy statement explaining his decision, the entirety of which is at the end of this story. In his statement, Langdell says he left the board because opposition to his board membership comes from "a contingent ... who in their fanaticism will cause substantial negative press for the IGDA over the next month and place intolerable demands on the board and IGDA staff." Late last week, the IGDA announced that a special meeting of the membership - essentially an online vote - would be held Oct. 3, the sole purpose of which was to vote on whether Langdell should be removed. Langdell had served on the board since March 1. In his statement Langdell expressed confidence that he would survive such a vote but "my fear is that a quorum will not be attained and that consequently this vocal minority will not accept the outcome of the October 3rd meeting as bringing closure to this issue." 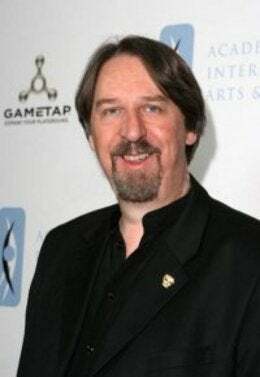 Langdell, who founded EDGE Games in 1979, is widely known for the aggressive defense of his long held trademark to the word "Edge" in video gaming. His latest dispute is with Mobigame, which released the iPhone/iPod Touch game EDGE in April. Their public fight has provoked heated commentary and accusations of bad faith dealings on both sides. Langdell himself has become more vocal of late, publishing a lengthy defense of his company and engaging in debates with members on the IGDA forums. The effort to remove him from the IGDA's board was begun back in July. At the heart of Langdell's controversial public persona is the perception that his and EDGE's primary activity is litigation rather than actual development. Langdell claims EDGE has published more than 700 games, but an analysis, quoted by Eurogamer pegged the figure at 70, the most recent in 1990. EDGE's site does say it is working on four multiplatform titles at the moment. Langdell said he would remain a full regular member of the IGDA. Caulfield, the executive director, told Kotaku that "it is my sincere hope that this issue is resolved. There are a lot of great people in the IGDA, and I hope we can get on with providing them with value for their membership." With the process barely started leading up to the Special Meeting announced last Friday and set to take place on October 3, it is already clear to me that despite my being confident that thinking members of the IGDA will vote for me to remain on the board for the balance of my term, there is a contingent who were involved in sending the defamatory email to all members by exploiting the IGDA email system a few weeks ago who in their fanaticism will cause substantial negative press for the IGDA over the next month and place intolerable demands on the board and IGDA staff. And while I am confident that were the needed quorum of at least 50% of the voting membership to be achieved at the Special Meeting that the vote would go in favor of my remaining on the board, my fear is that a quorum will not be attained and that consequently this vocal minority will not accept the outcome of the October 3rd meeting as bringing closure to this issue. My great fear, then, is that this vocal minority — most of whom are not IGDA members — will continue their negative attacks on the IGDA beyond October 3, refusing to accept the outcome of my remaining on the board. It seems nearly certain they will continue to generate even more negative press for the IGDA for weeks or even months to come and persist in causing substantial drain on IGDA board volunteer and staff resources and time, which is not in the interests of either the IGDA or its membership. Especially not at this time when all key IGDA resources should be focused on the Leadership Forum, not on dealing with this issue. Thus with the best interests of the IGDA at heart, and mindful of the unfair demand on the time of my fellow board members and our truly excellent IGDA staff, including the remarkable Joda Sapp and our incomparable new ED Joshua Caulfield, I therefore announce my decision to resign as a member of the board of the IGDA, effective immediately. I make this decision not because I have done anything wrong — on the contrary I am confident that all accusations against me were unfounded and purely intended to defame, and am confident that I have at all times acted in the best interest of the IGDA and its membership — but because I must make this decision between concluding a process that will show I did no wrong, and having that process irreparably damage the IGDA. I cannot permit the latter to happen, and this has to drive my decision today, taking priority over defending myself against these accusations to a conclusion. There are some who will take my stepping down as an admission of wrongdoing, but they are the same people who if the October 3 Special Meeting had gone ahead resulting in my remaining on the board would have refused to accept that outcome. Last, I wish to say that the board is full of some incredible people, and you, the membership of the IGDA, are in excellent hands. For my part, I believe I made a solid contribution to the Association in my time on the board, taking on a somewhat disastrous web project which, as head of web tech these past months, I was able to bring round so that the new website should now be able to go live very shortly. I am sorry that I will not personally be overseeing the launch of the new website, but I know that this process is in the excellent hands of a colleague on the board. I will remain an active member of the IGDA, still supporting it in any way I can as a regular member, and still serving on some fifteen SIGs; indeed my departure from the board will give me more time to devote to supporting the SIGs. Dr. Tim Langdell, Pasadena, CA.